President Rodrigo Duterte during the campaign rally of the Partido Demokratiko Pilipino-Lakas ng Bayan (PDP-Laban) party at the Mayor Vitaliano D. Agan Coliseum in Zamboanga City on March 3, 2019, crit*cized former interior secretary and now opposition senatorial candidate Mar Roxas. 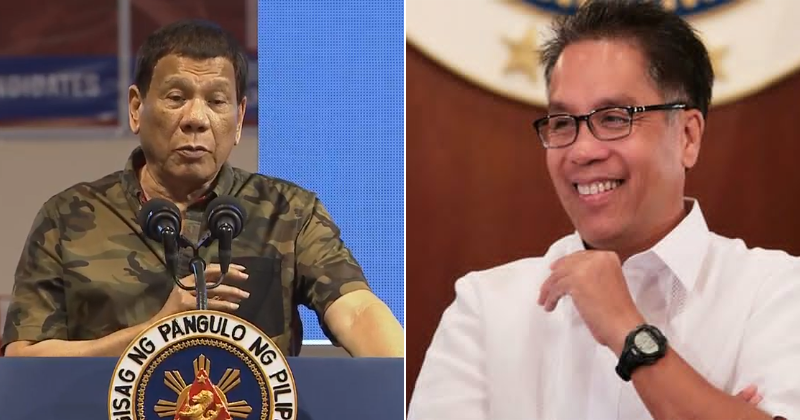 In his speech, Duterte narrated on how Roxas acted arrogantly during one of their meetings when he was still a Mayor of Davao City, ignoring the LGU officials while only paying attention with the j*stices present during the event. He also said that Roxas cannot win against his bet former aide Christopher “Bong” Go this 2019 elections. 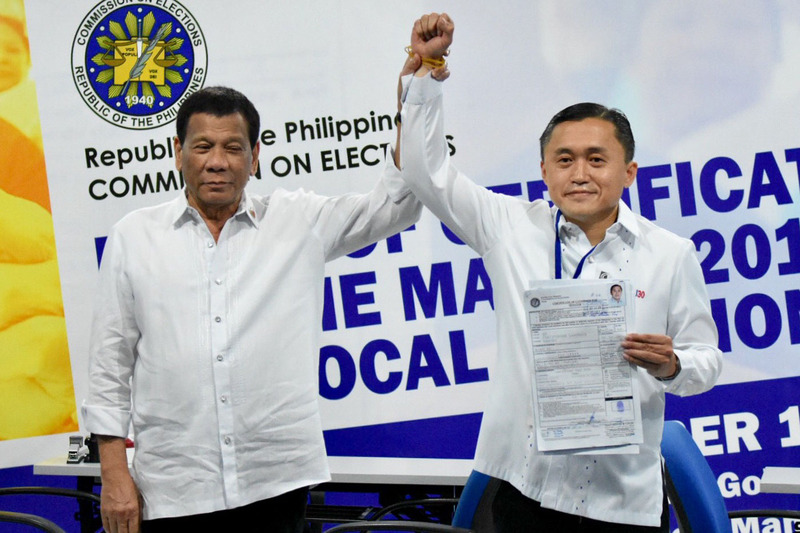 “Kung yung kampanya niya (Roxas) ginawa niya the best niya, hindi siya manalo kay Bong.” Duterte said. The President who defeated Roxas in the 2016 presidential elections also asked the supporters of the latter on the achievements made by their idol during his days as public official. “Kayong mga liberal, magtanong lang ako diyan, anong nagawa niya? anong nagawa niya na naiwan niya sa bayan? secretary of trade kay Macapagal (Arroyo), pagkatapos nong eleksyon, lukso siya kay Aquino.. secretary of Finance.. tapos secretary of communications.. tapos DILG,”Duterte said. “Nadaanan niya naman lahat yan.. ano ang nagawa niya.. bigyan mo ko isa. Dinaanan na niya lahat. Ngayon babalik ka na naman. Ano na naman ang dadalhin mo?” he added. After he expressed his criticisms against Roxas, Duterte endorsed Bong Go and introduced him to the people who attended the rally. Last year, Duterte told people from Iloilo that there’s no problem for him if they vote for Roxas who’s also an Ilonggo. 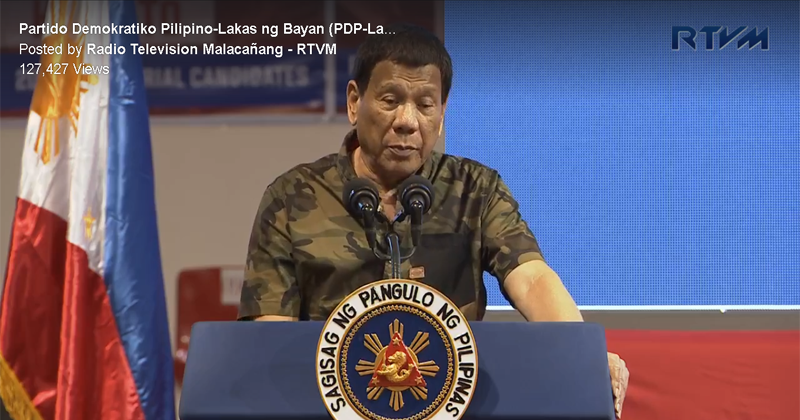 Aside from Roxas, Duterte also criticized the other members of ‘Otso Diretso’ and mentioned them one by one during his speech.